France shares the border with eight countries: Spain, Andorra, Italy, Monaco, Switzerland, Germany, Luxembourg and Belgium. 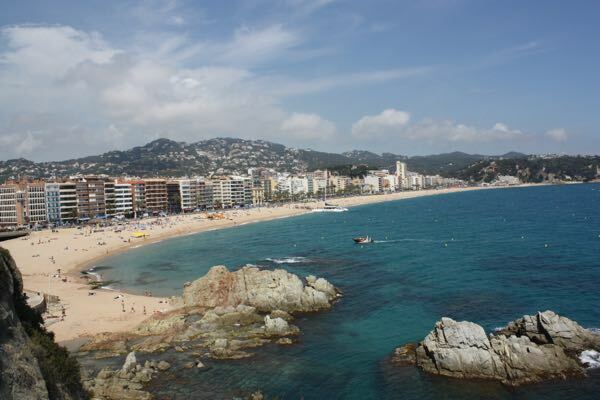 It is so easy to get to any of these countries by plane, train, or automobile. Recently I drove from Chamonix, France in the French Alps and highly recommend you make a short excursion to western Switzerland. In the first of two posts, I’ll share how I got there and some highlights you might enjoy. 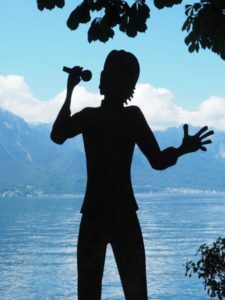 This week it will be about Montreux, located on the northeastern shores of Lac Léman (Lake Geneva). You’ll be driving through the mountains with some narrow, steep roads and only a few towns, so be sure to fill up your gas tank. Fortunately, the journey is on D1506 and only about 30 minutes to the Swiss border from Chamonix. 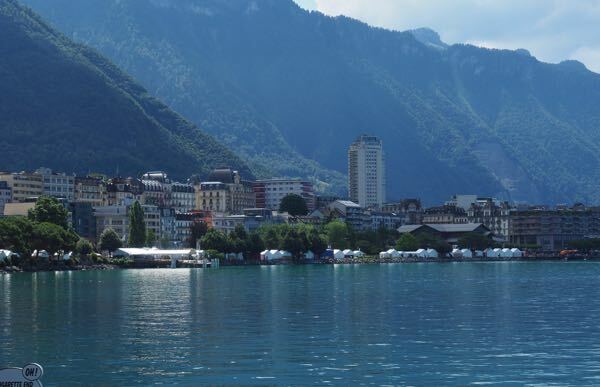 Then it’s a short trek to get on to the A9 highway to major places such as Martigny and Montreux. Best of all, the scenery is spectacular. One important note: at the French/Swiss border, one is supposed to pay for a Swiss Motorway Vignette (Tax Sticker). It is mandatory for all cars to have this sticker on the windshield and costs CHF 40.00; however, no one stopped me and no one asked me to pay. The authorities never stopped me in Switzerland or when I was at the border heading back to France. I was extremely lucky because I could have been fined. 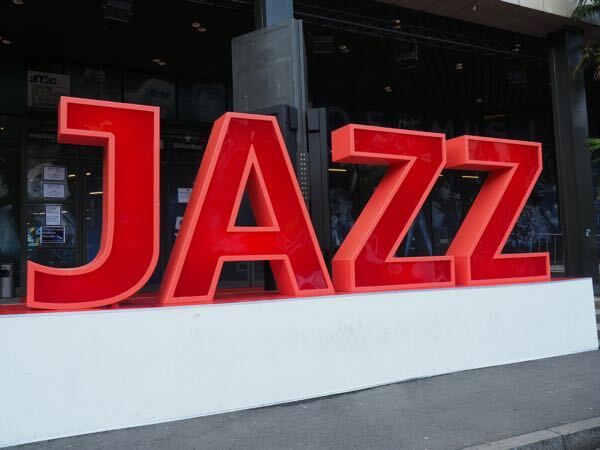 In early July one of the most famous jazz festivals in the world takes place: The Montreux Jazz Festival. 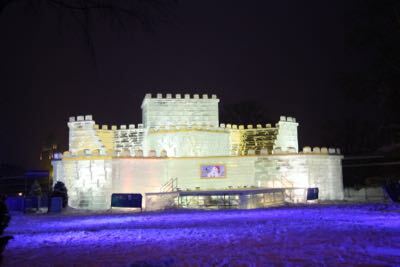 This year’s venue had performers including Jean-Michel Jarré, Neil Young, Santana, and Lana Del Rey. Individual ticket prices for the festival concerts started at CHF 55.00 (about $36 US or $47 Cdn) and there are packages and passes available. The festival recently celebrated its 50th anniversary (July 1-16) and while I didn’t get to see Quincy Jones, whose music I love, I was able to take in a free concert in the “Music in The Park”. There was a big band playing many popular tunes including my favourite, “The Girl from Ipanema”. 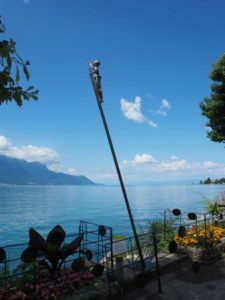 2016 Montreux Jazz Festival from JansFrance on Vimeo. The whole area had a festive feeling and the boardwalk along the lake is filled with food and craft booths, including “Holy Cow”, where I had a delicious burger and rose wine. I loved walking along the boardwalk just checking all all the displays which were quite unique and creatively done. 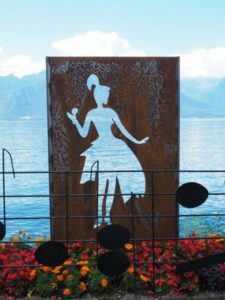 Montreux also has a Vielle Ville (old town) which is worth exploring. You can trek up the hill and also get some great views. 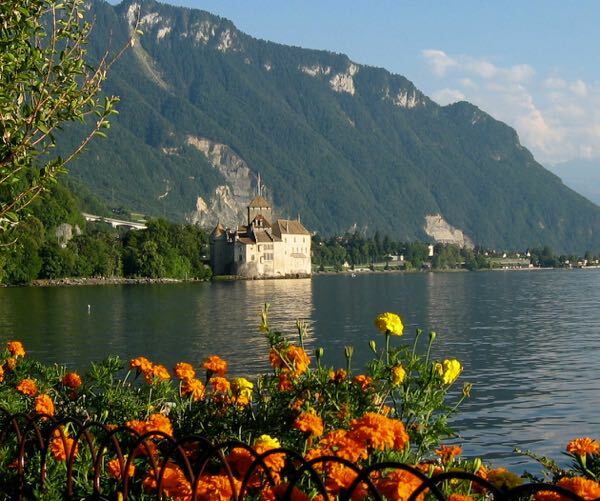 45 minutes from the centre of town, to the east, is Chateau de Chillon. It’s an island castle that was the summer home of the Counts of Savoy in the 12th century and a prison in the 16th century but perhaps its biggest claim to fame is being mentioned in Lord Byron’s poem, “The Prisoner of Chillon”. He supposedly etched his name on a pillar in the dungeon. 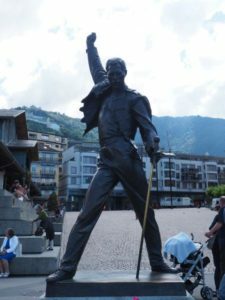 While I was certainly aware of the rock band, “Queen” and its music, I had no idea that Montreux was home to the recording studio, “Mountain Studios”, owned by Queen and housed in the Casino Barrière Montreux. 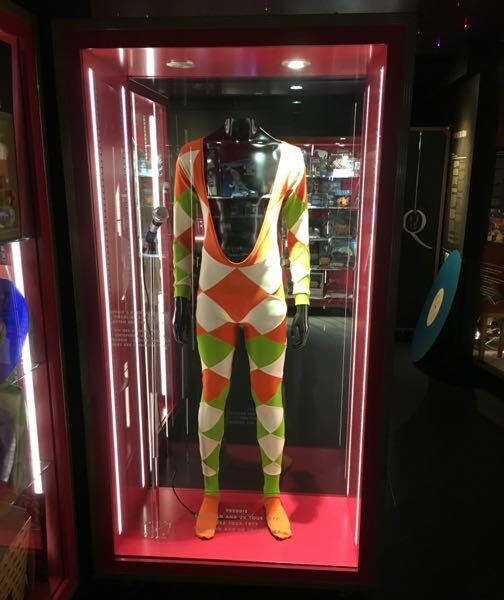 In 2013 the “Queen Studio Experience” opened and this exhibit not only shows the history of the band, but also shares many artifacts, including Freddie Mercury’s costumes. There’s also a short film about the band. It’s small, free, and worth a visit. This looks like a beautiful drive to a wonderful destination. 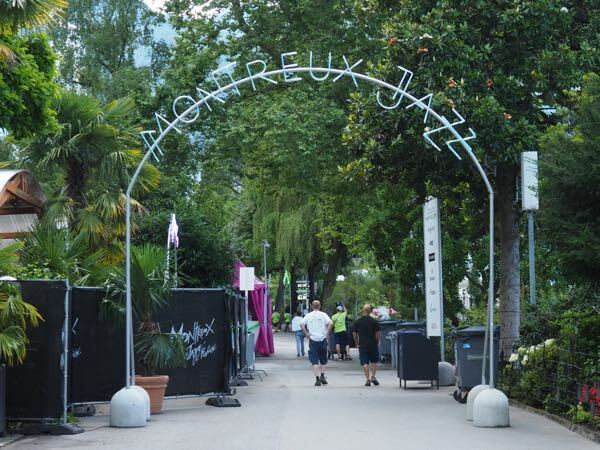 We would love going to the Montreux Jazz Festival. 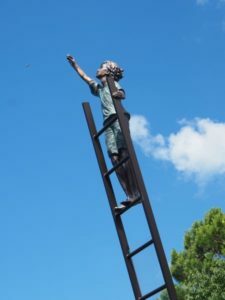 The grounds look so beautiful – I loved your shots of the unique sculptures. Have to add this to our must-visit list. And I will be returning to see some shows and eat/drink on the boardwalk. 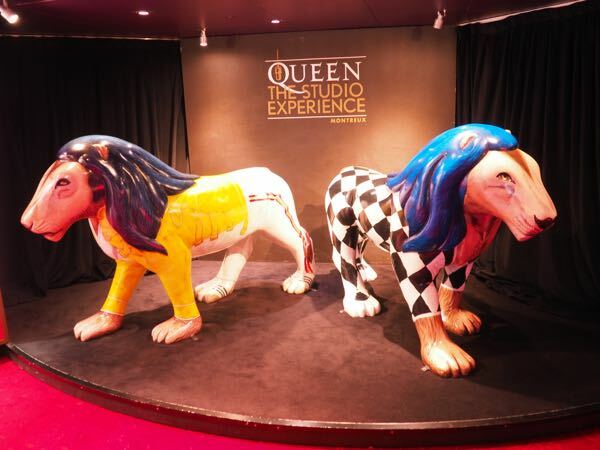 That Queen Studio experience looks like great fun! It reminds me of the ABBA museum in Stockholm! I’d still love to see the ABBA museum. Think it would be so interesting! 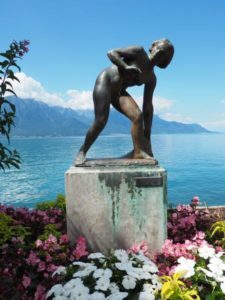 Thx for this great post on Montreux, Jan.I’ll be there later this month for chocolate research and am really looking forward to seeing the sculptures on the boardwalk. It looks like the Jazz Fest was a blast. You’ll have a great time and certainly enjoy the boardwalk.